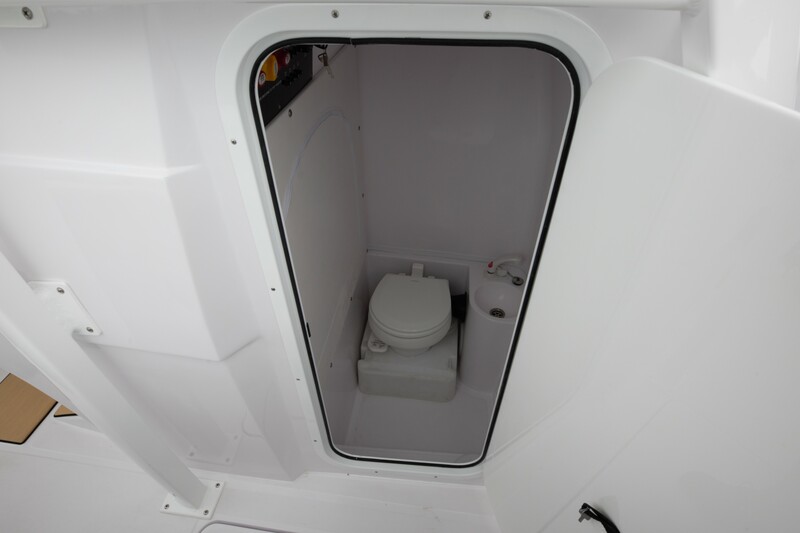 Keep in mind, this boat is descended from hulls that have won so many trophies, they have their own room. 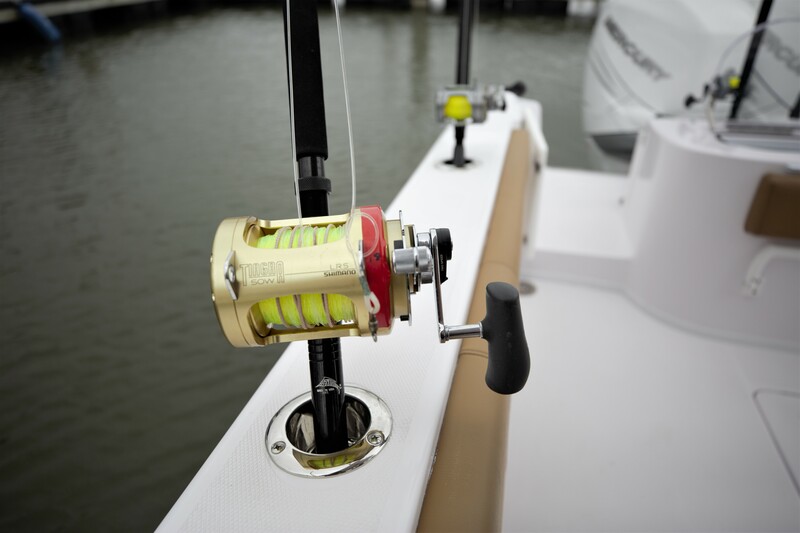 Needless to say, it will rocket you out to the best fishing spots in comfort and safety—and get you back to the weigh-in while the others are struggling to get home. 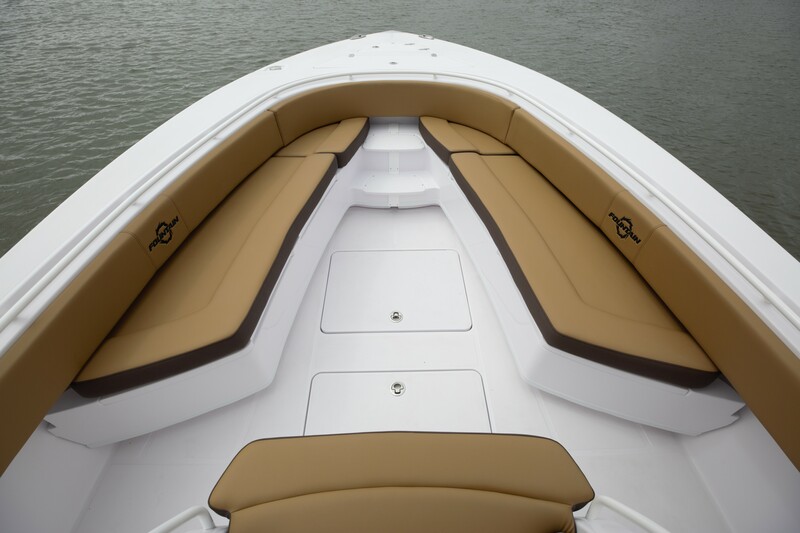 BE ADVISED THAT THESE PERFORMANCE FIGURES ARE MERELY AN ESTIMATE, NOT A GUARANTEE, OF WHAT YOU MAY EXPECT BASED ON OUR FACTORY TESTING PROGRAM. 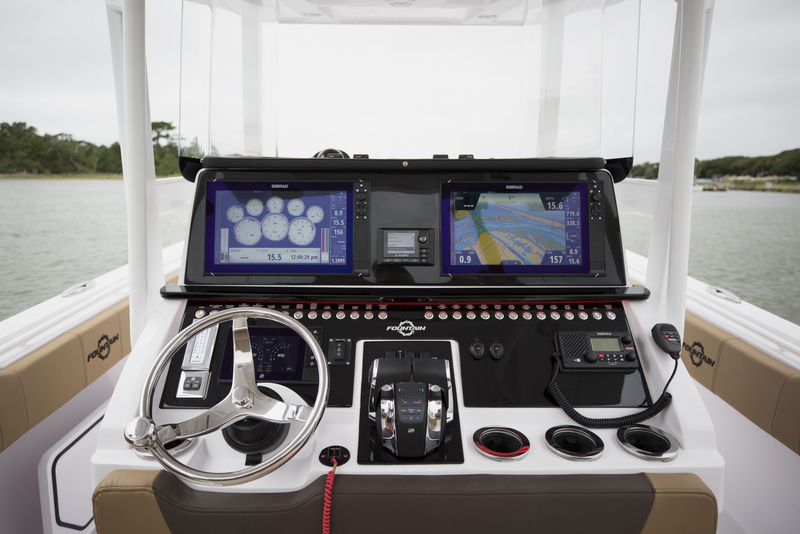 THE ABOVE LISTED SPEEDS ARE VERIFIED BY RADAR OR GPS OR BOTH WITH ONE TEST DRIVER AND LESS THAN FIFTY GALLONS FUEL LOAD. 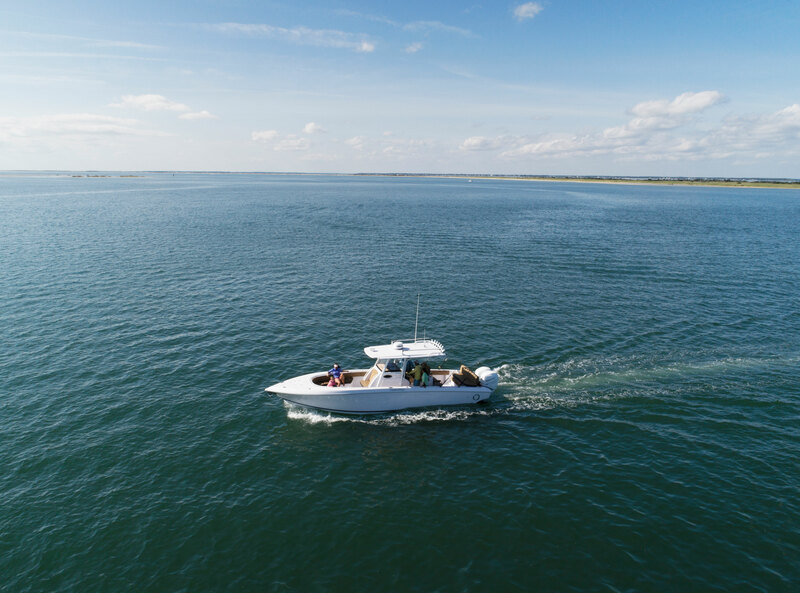 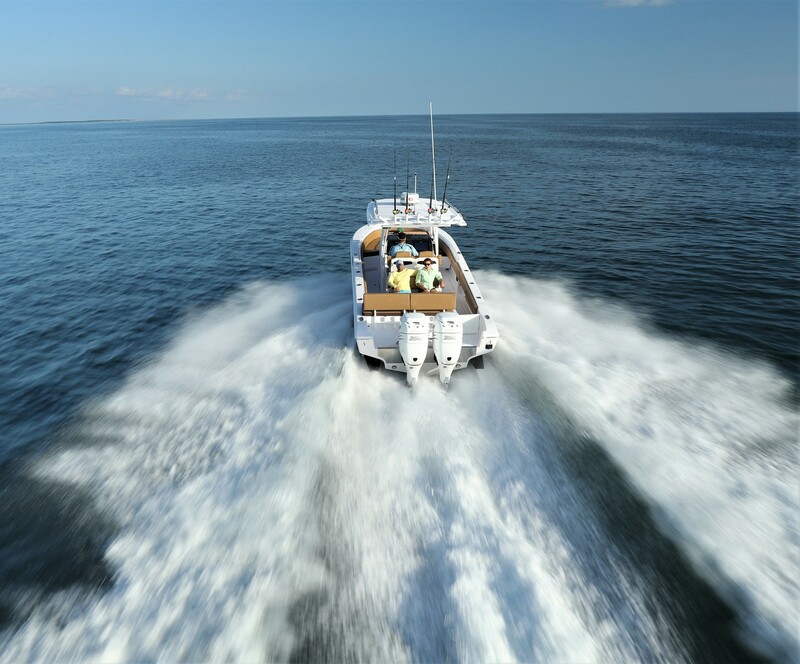 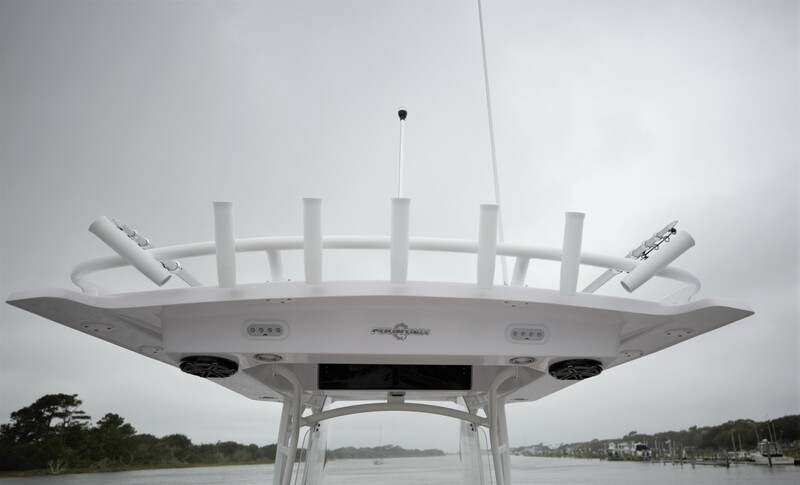 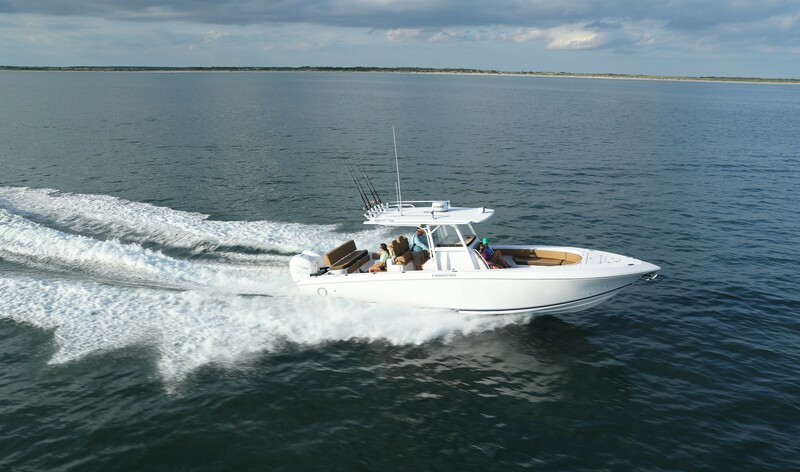 THIS BOAT SPEED CAN VARY DEPENDING ON LOADED WEIGHT, FUEL LOAD, NUMBER OF PASSENGERS, AIR, TEMPERATURE, ALTITUDE, HUMIDITY, BAROMETRIC PRESSURE, WATER CONDITIONS, WIND, ENGINE, TUNING, PROPELLER PREFERENCE, AND NUMEROUS OTHER FACTORS BEYOND OUR CONTROL. 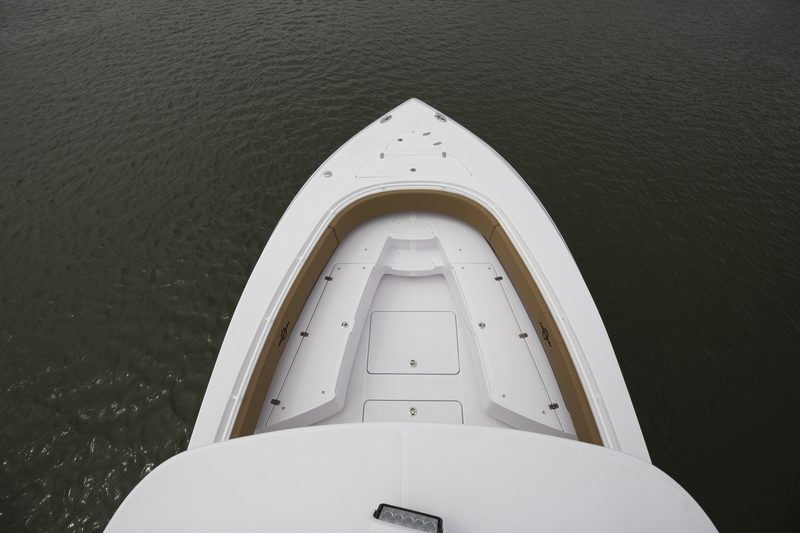 A Fountain boat is dead in the water without a powerful engine system propelling your new craft to higher heights. 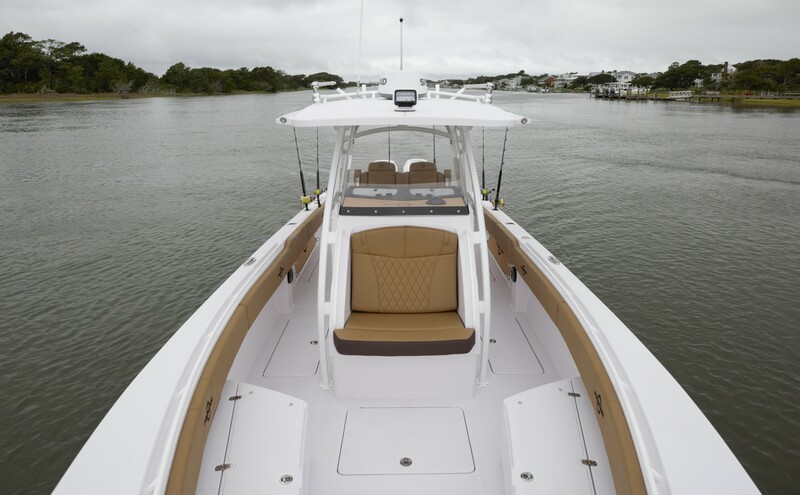 Mercury four-stroke outboards change the game. 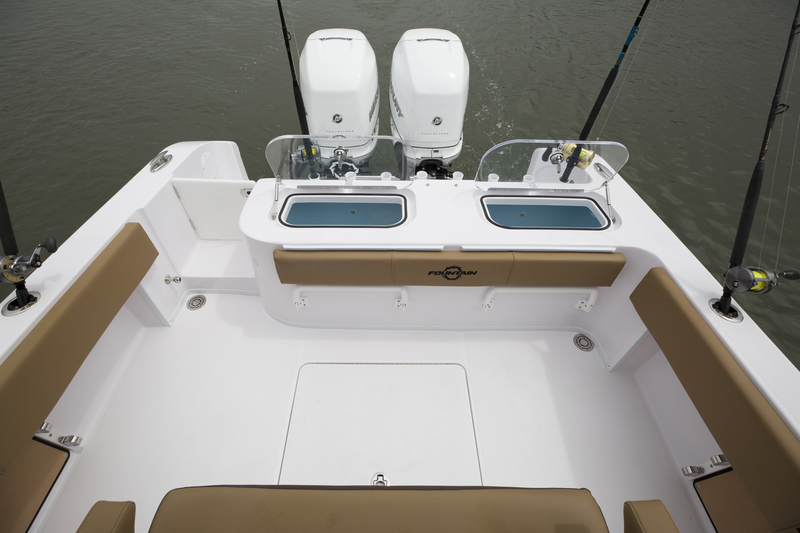 They are tougher and lighter than any other four stroke on the water. 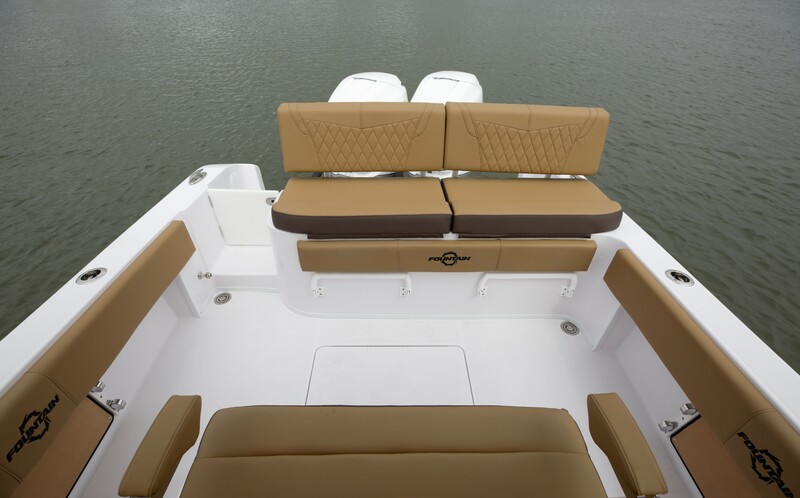 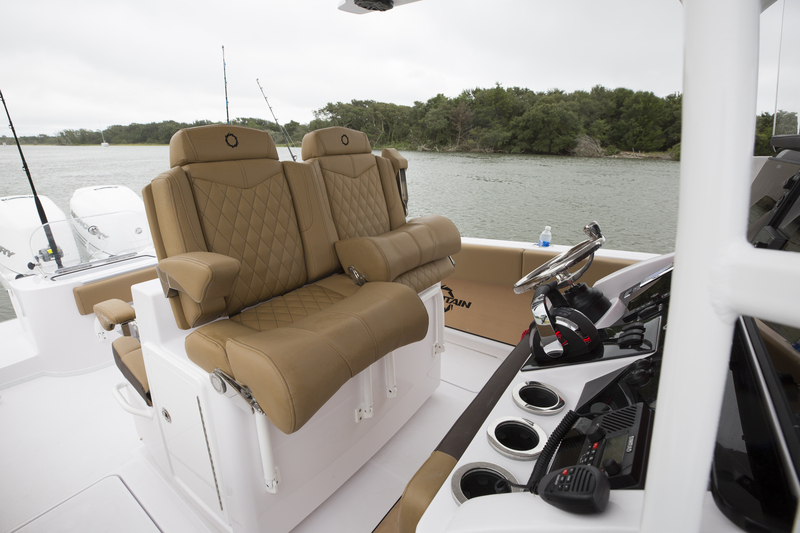 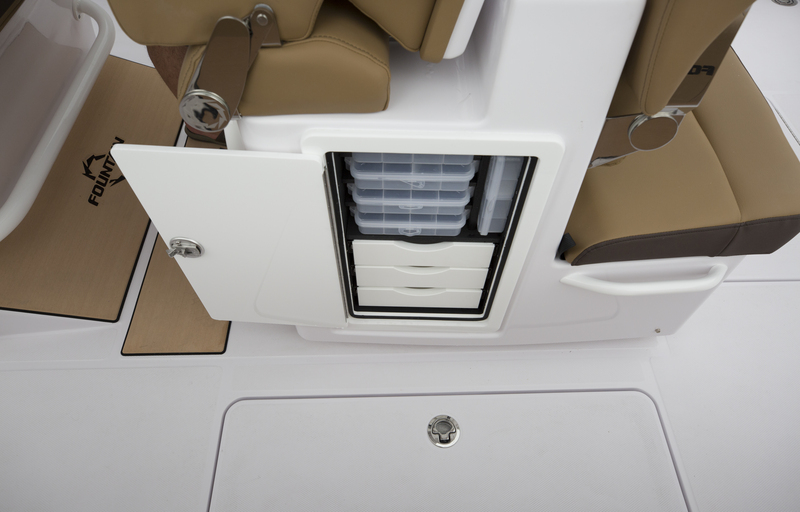 Upgrade to Verado power and you’ll feel the difference. 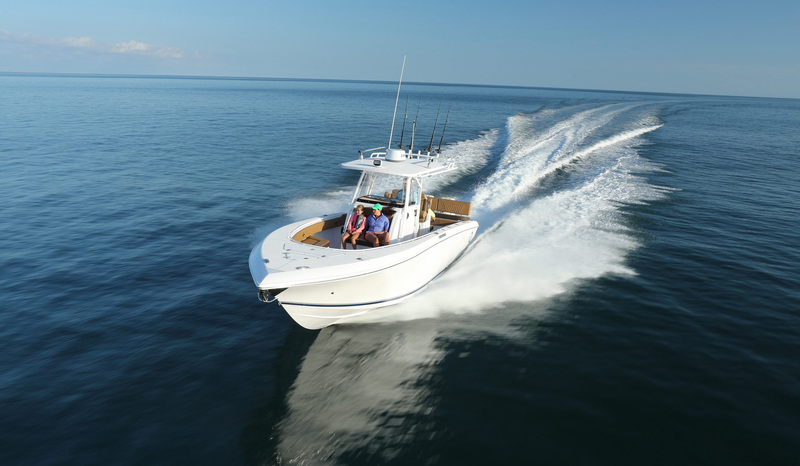 Supercharged four-stroke power and torque come standard. 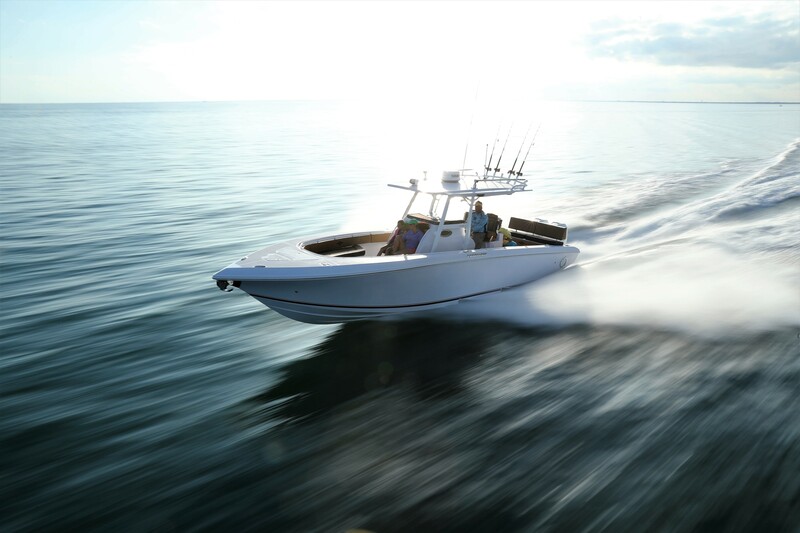 Lower fuel consumption, nearly zero noise and vibration – all the norm with a Verado outboard engine. 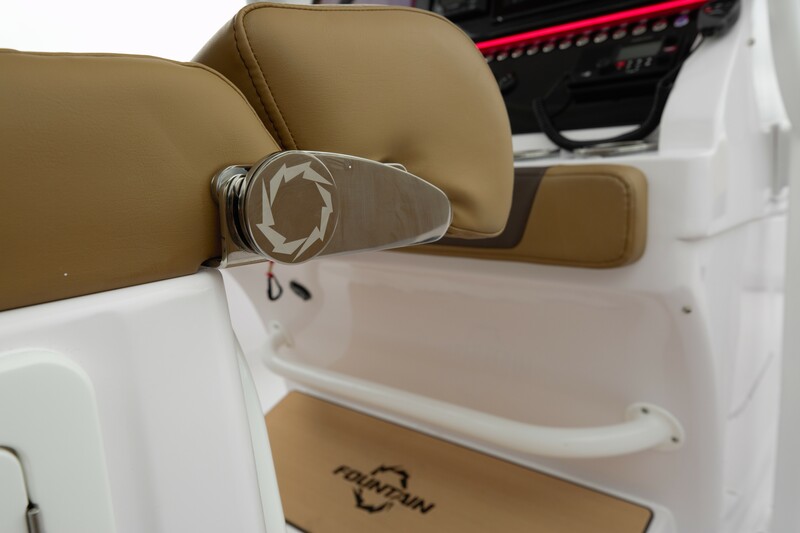 The performance and efficiency of a mercury outboard is the perfect match-up to the performance and efficiency of a Fountain powerboat. 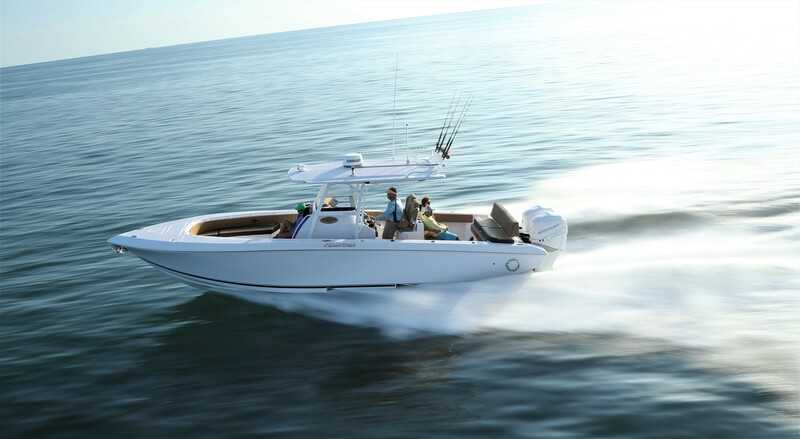 Choose your power wisely…twins, triples, quads - up to 400-HP each.